Nothing beats the exceptional look and quality of our Shih Tzu Hold-a-Note. Among the finest made, you will be provided with great satisfaction and long lasting enjoyment. Why not pamper yourself or give a loved one a Shih Tzu gift to show them how much you care. The Shih Tzu Hold-a-Note will make the perfect gift for any Shih Tzu lover. Shop with confidence, because all products come with a 100% customer satisfaction guarantee. Click over now to see the big selection of Shih Tzu gifts we offer. This magnificent Shih Tzu Note Holder will make sure that you never forget that important meeting. At approximately 6 x 2.5 inches our friendly Shih Tzu Memo Holder will always stand out on your kitchen counter, desk or anywhere else you decide to place it. Or as a gift for a friend or loved one, this delightful Shih Tzu Note Holder will always bring a smile. This magnificent Black & White Shih Tzu Note Holder will make sure that you never forget that important meeting. At approximately 6 x 2.5 inches our friendly Shih Tzu Memo Holder will always stand out on your kitchen counter, desk or anywhere else you decide to place it. 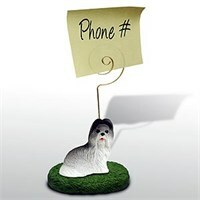 Or as a gift for a friend or loved one, this delightful Shih Tzu Note Holder will always bring a smile. This magnificent Gray Shih Tzu Note Holder will make sure that you never forget that important meeting. At approximately 6 x 2.5 inches our friendly Shih Tzu Memo Holder will always stand out on your kitchen counter, desk or anywhere else you decide to place it. 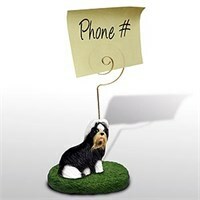 Or as a gift for a friend or loved one, this delightful Shih Tzu Note Holder will always bring a smile. This magnificent Mixed Shih Tzu Note Holder will make sure that you never forget that important meeting. At approximately 6 x 2.5 inches our friendly Shih Tzu Memo Holder will always stand out on your kitchen counter, desk or anywhere else you decide to place it. 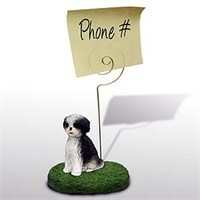 Or as a gift for a friend or loved one, this delightful Shih Tzu Note Holder will always bring a smile. This magnificent Tan Sport cut Shih Tzu Note Holder will make sure that you never forget that important meeting. At approximately 6 x 2.5 inches our friendly Shih Tzu Memo Holder will always stand out on your kitchen counter, desk or anywhere else you decide to place it. 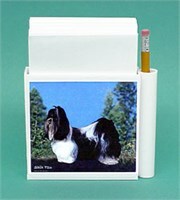 Or as a gift for a friend or loved one, this delightful Shih Tzu Note Holder will always bring a smile. This magnificent Tan Shih Tzu Note Holder will make sure that you never forget that important meeting. At approximately 6 x 2.5 inches our friendly Shih Tzu Memo Holder will always stand out on your kitchen counter, desk or anywhere else you decide to place it. Or as a gift for a friend or loved one, this delightful Shih Tzu Note Holder will always bring a smile. 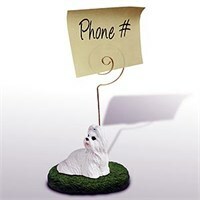 This magnificent White Shih Tzu Note Holder will make sure that you never forget that important meeting. At approximately 6 x 2.5 inches our friendly Shih Tzu Memo Holder will always stand out on your kitchen counter, desk or anywhere else you decide to place it. 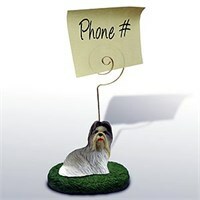 Or as a gift for a friend or loved one, this delightful Shih Tzu Note Holder will always bring a smile.